Reaching Out Hand Design:It will be more convenience when you want to play phone or take something. Sturdy polyester taffeta shell is 100% waterproof, not afraid of heavy rain. 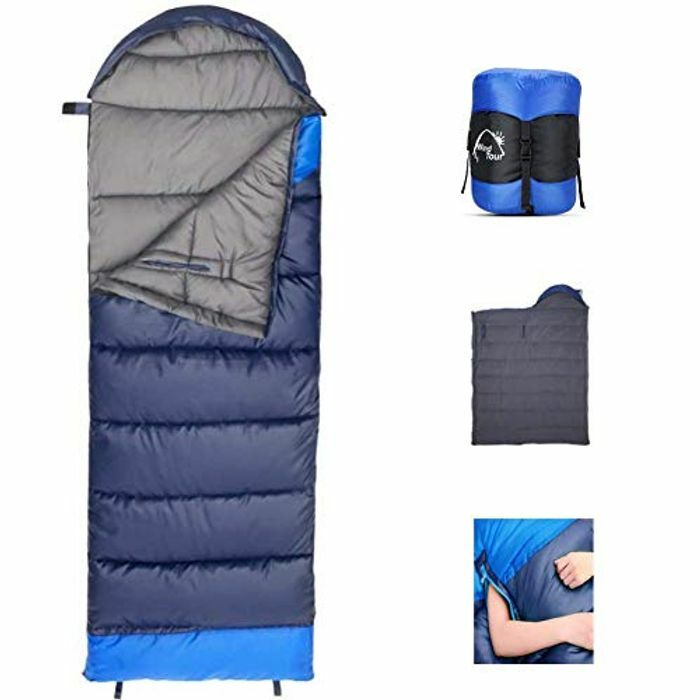 Ultra-soft 300 g/m2 hollow warm loft filling features is lightweight, soft and warm.Even when it's 20F outside, Our Sleeping Bag with a zipper weather-stripping design will keep you warm from top to bottom. Fab price, thanks for sharing! I will grab one of these to put aside! Always worth having, thanks!